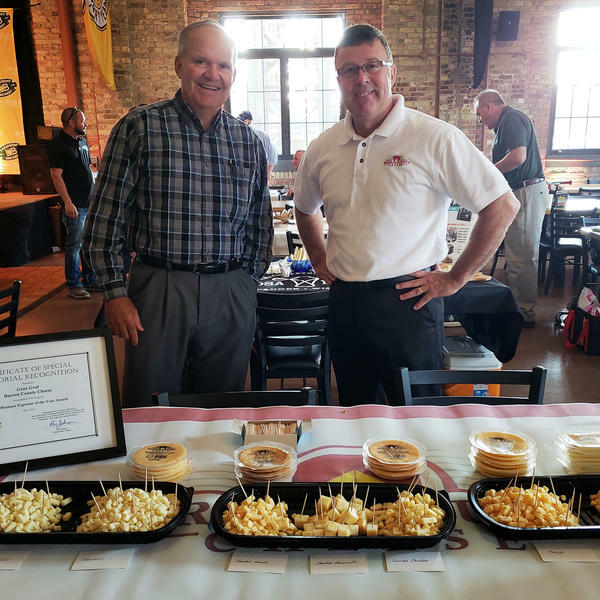 Gene Graf (right) and David Kochendorfer (left) of Barron County Cheese behind their cheese table at a Wisconsin event promoting cheese for export. In a beer hall of a Milwaukee microbrewery on a recent morning, Gene Graf of Barron County Cheese is among cheesemakers setting up shop. He's laid out three plates of cheese samples on a white tablecloth. "We have our newest trending profiles: our coffee gouda, our gouda-mango-habanero, and our gouda honey sriracha, along with our apple-infused, smoked natural cheeses," he explains. Graf is waiting for buyers to arrive from countries that haven't imported much cheese in the past, like Guatemala, Colombia and United Arab Emirates. The sellers and potential buyers will be scoping each other out and rotating table to table to see whether they'll be good partners for future cheese exports. This cheesy speed-dating event is a collaboration between the Wisconsin Department of Agriculture, Trade and Consumer Protection and the state's dairy groups, including the University of Wisconsin Center for Dairy Research and the Dairy Farmers of Wisconsin. The event is called "the reverse buyers mission," and it's been developed as part of a new program, called the Wisconsin Initiative for Dairy Export. The initiative started earlier this year but there's added urgency because of new tariffs on American dairy products. "We make the best cheese in the world," says Jen Walsh of Dairy Farmers of Wisconsin. "A lot of people don't know about it. So that's why we've brought them here. So we can really showcase it." Wisconsin cheesemakers account for more than a quarter of the country's cheese production — more than 3 billion pounds per year. More than one third of Wisconsin's income from cheese exports last year came from Mexico. While only a small percentage of Wisconsin cheese is exported to China, China is a growing market. But both countries have recently added big tariffs on U.S. dairy products — up to 25 percent. As of July 5, Mexico is taxing some U.S. dairy products at 20 percent, and some at 25 percent. 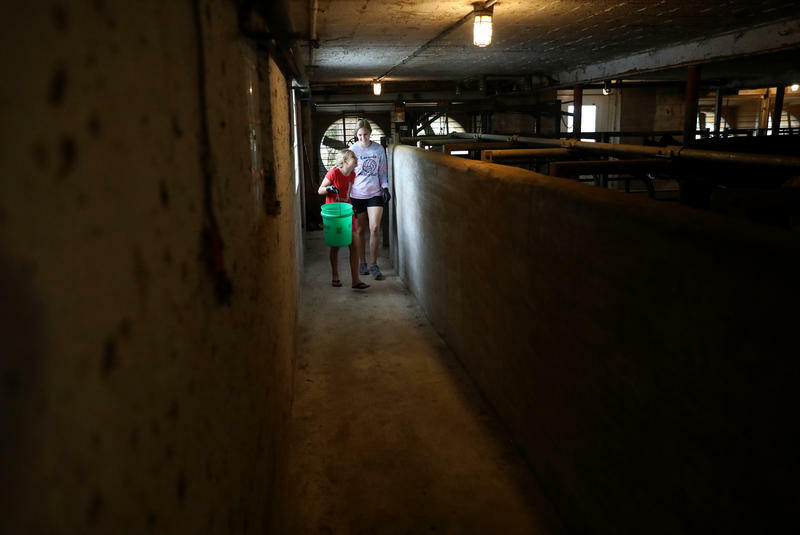 China has added a 25 percent tariff to U.S. dairy, on top of the previous tariff of 7 percent. Mexican buyers were also invited to the reverse buyers mission, and organizers and cheesemakers hope to maintain and grow relationships in Mexico and China. At the same time, cheesemakers like Gene Graf expect the tariffs may put a dent in sales. "And then it just depends on how bad they want that product there. If the product sells good, then, you know, tariffs will affect the consumer. The end user's gonna end up paying more," he says. Claude Mauro is a distributor from Chile, and he's looking for cheeses with unique flavors that Chileans will turn to for an aperitif. He knows what he doesn't want: copycats of European style cheeses, like pecorino or brie. "But really, a cheese from America, a gringo cheese, say the people of South America. Something really they say, 'this is an American style cheese.'" He chats freely with the cheesemakers about their processes and what it takes to get licensed to export to his country. When the speed dating ends, Mauro says it worked. "I tested 5 of them, and 1-2 are very exceptional." He says they might get on his shelves. In addition to the speed dating, the prospective buyers from five countries toured six cheese plants around the state and visited the iconic Wisconsin State Fair. Jack Heinemann, of the agriculture department, says "right now, it's just the introduction. 'I like the cheese, I have a good comfort with the supplier.' And then the buyer will follow up with the supplier, the supplier will follow up with the buyer, and then they will make the deal and ship product." With tariffs from Mexico and China taking a bite out of profits, Wisconsin cheesemakers are eager for a new love connection between their product and consumers in countries not involved in a trade war. Copyright 2018 WUWM 89.7 FM - Milwaukee's NPR. 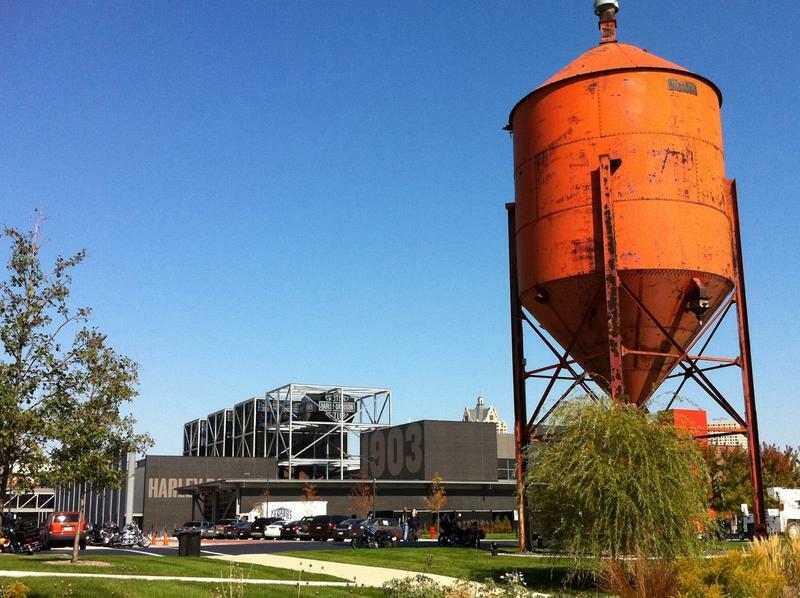 To see more, visit WUWM 89.7 FM - Milwaukee's NPR. In Wisconsin, some agricultural officials are playing the role of matchmaker. They're bringing together the state's cheesemakers with prospective international buyers for a unique speed-dating event. One hope is that it could ease the tariff pain affecting Wisconsin cheese producers. Maayan Silver of member station WUWM in Milwaukee reports. 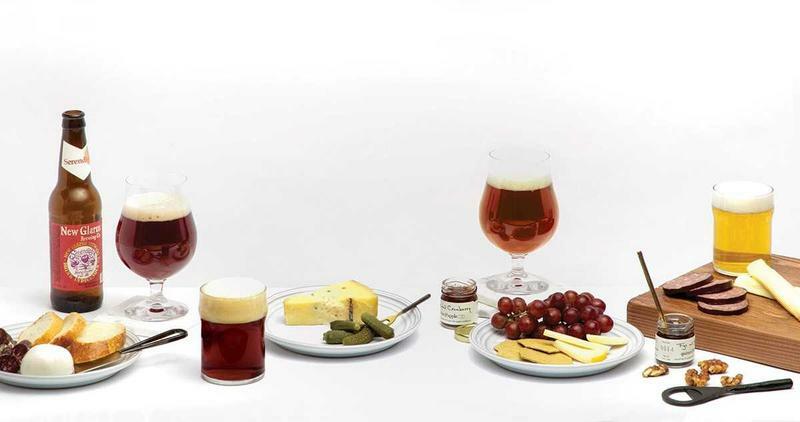 MAAYAN SILVER, BYLINE: As morning sunlight peaks in, Gene Graf is among cheesemakers setting up shop around tables in this beer hall of a Milwaukee microbrewery. He's laid out three plates of cheese samples on a white tablecloth. GENE GRAF: We have our newest trending profiles - our coffee Gouda, our Gouda-mango-habanero and our Gouda-honey-Sriracha along with our apple-infused, smoked natural cheeses. JEN WALSH: We make the best cheese in the world, and a lot of people don't know about it, so that's why we've brought them here so we can really showcase it. SILVER: That's Jen Walsh of Dairy Farmers of Wisconsin who's working with the Agriculture Department on the event. Wisconsin cheesemakers account for more than a quarter of the country's cheese production, more than 3 billion pounds per year. More than one-third of Wisconsin's income from cheese exports last year came from Mexico. And while only a small percentage of Wisconsin cheese is exported to China, China is a growing market. But both countries have recently added big tariffs on U.S. dairy products, up to 25 percent. Gene Graf expects that to put a dent in sales. GRAF: And then it just depends on how bad they want that product there. If the product sells good, well, tariffs will affect the consumer. The end user's going to end up paying more. SILVER: Claude Mauro is a distributor from Chile, and he's looking for cheeses with unique flavors that Chileans will turn to for an aperitif. He knows what he doesn't want - copycats of European styles like pecorino or brie. CLAUDE MAURO: But, really, a cheese from America, a gringo cheese, will say the people of South America. Something really they say, OK, I'm in American style, and this is an American-style cheese. SILVER: He chats freely with the cheesemakers about their processes and what it takes to get licensed to export to his country. When the speed dating ends, Mauro says it worked. MAURO: I tested five of them and one, two are very exceptional. SILVER: So they might get on your shelves. SILVER: In addition to the speed dating, the prospective buyers from five countries toured six cheese plants around the state and visited the iconic Wisconsin State Fair. Jack Heinemann of the Agriculture Department says that this event was just the beginning. JACK HEINEMANN: I like the cheese. I have a good comfort with the supplier, and then they will follow up, make the deal and ship products. SILVER: With tariffs from Mexico and China taking a bite out of profits, Wisconsin cheesemakers are eager for a love connection between their product and consumers in countries not involved in a trade war. For NPR News, I'm Maayan Silver in Milwaukee. (SOUNDBITE OF THE TEMPER TRAP SONG, "LOVE LOST") Transcript provided by NPR, Copyright NPR.